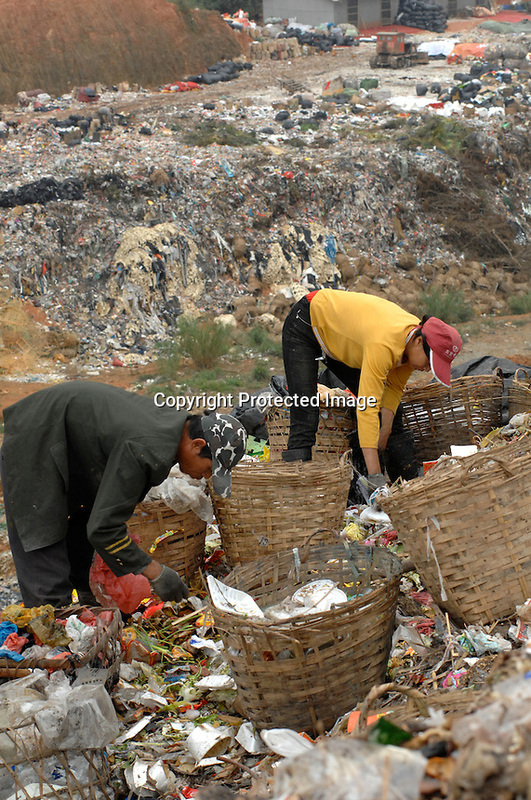 The landfill of Tangxia in Guangdong Province, China. As well as some domestic waste the landfill mostly comprises of waste, such as offcuts discarded from shoe and textile factories discarded in the Tangxia area. Tangxia is a heavily polluted town and home of a factory that makes trainers for the "green" and "socially concious" company Wornagain.